Virgin America is inviting its customers to “Test Drive Every Seat” with a 360-degree view of its mood-lit cabins. 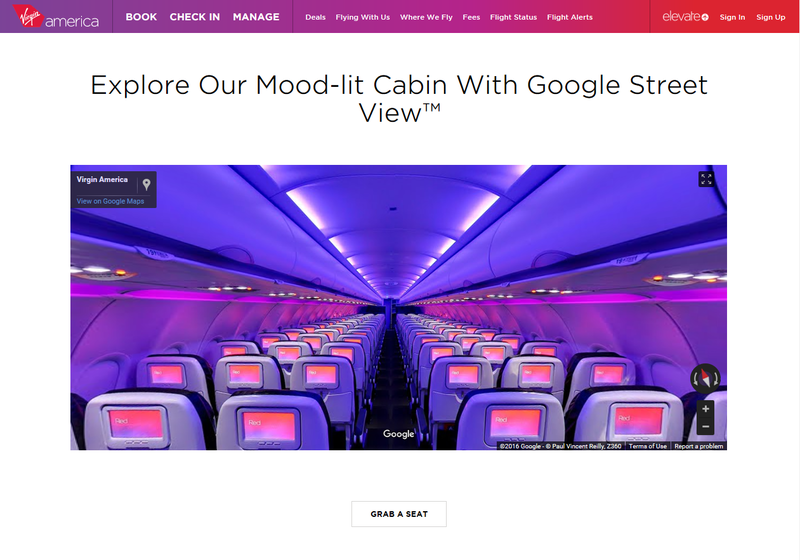 Virgin America used Google Streetview to allow customers to navigate the 360 photos, allowing the customers not just to look around but also to “move” forward or backward to a different section of the cabin. The advertisement is one of the first mass-market ad campaigns to use 360 photos. Check out Virgin America’s 360 shots.